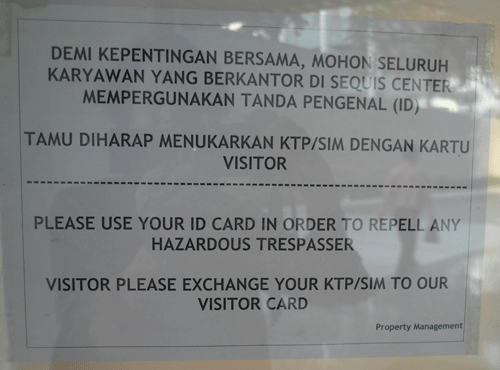 For our mutual well-being, please wear your ID card. Perhaps they are worried about all the dodgy visitors going cap in hand to the top floor of the building, home of the Ford Foundation, which funds all sorts of hazardous enterprises, including programmes that aim to increase accountability in government. 1 Comment on "Repel hazardous trespasser!"